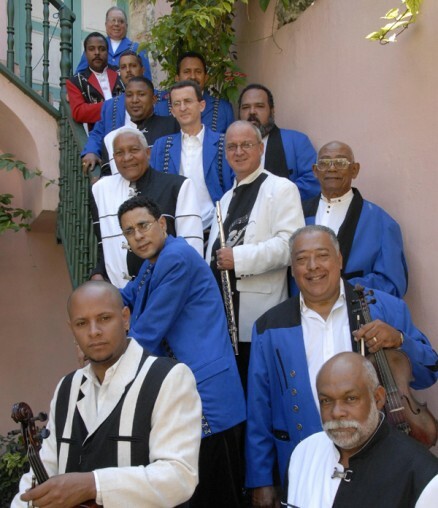 One of Cuba’s grandest and enduring, charanga bands, Orquesta Aragón, the “Duke Ellington and Count Basie Orchestra of Cuban music,” is a national treasure on the island and have performed worldwide for over 60 years. Orquesta Aragón has been a cornerstone of Cuban culture for seven decades, playing danzón, son, cha-cha-chá, rumba and their own styles. Their Afro-Latin innovations shaped the evolution of Cuban music for decades and they have been credited for inspiring New York’s mambo scene in the 50s, making an indelible mark on African music in the 70s, and influencing a who’s who of NY’s Latin music icons like Fania All-Stars’ Johnny Pacheco and Mambo King Tito Puente. Since 1939 Aragón has kept its focus, spreading irresistible Cuban rhythms around the world.